Thailand Antique Silver Jewelry of the genuine kind, as in old, is scarce. Yes there are pieces to be had but the market for antique jewelry in Thailand is very small. We do have a section that deals with Thailand antiques of all kinds. 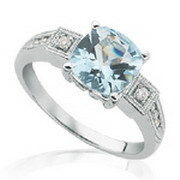 Antique style jewelry be it antique style silver jewelry or antique style gold jewelry is plentiful. 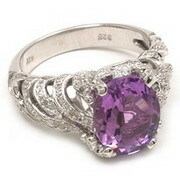 Thai jewelry factories can produce antique silver jewelry to your own designs or you can choose from pre-existing designs. Bangkok Companies is a full service product sourcing company in Thailand. For All your antique jewelry needs please email bangkokcompanies@gmail.com with your requests. After seven years as an antique and estate jewelry buyer, Conde founder Fletcher Blackburn moved to Bangkok to open a workshop where he could recreate some of the extraordinary pieces that had passed through his hands over the years. I wanted to make pieces from the Art Deco and Edwardian era that I knew were timeless. They can be worn today, next year or even twenty years from now and still be in style. Starting with one designer and a handful of craftsmen in a tiny office in the heart of Bangkok, Fletcher and his team created the first collection: Platinum Art Deco engagement rings, wide diamond filigree bands and long, draping briolette earrings and pendants in 18karat white gold and platinum. The Conde house strives to create wearable art that transcends the boundaries of time, beauty and imagination; to capture a passionate moment and deliver it in a jewel. Every design is an expression of the artists' perception and the technicians' intuition. Only when harmony between the two exists does a piece get added to the collection. 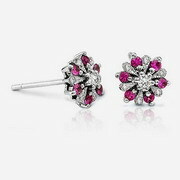 We are Manufacturer and Exporter of Gold and Silver jewelry, Studded with Diamonds, Precious and Semi-precious stones. 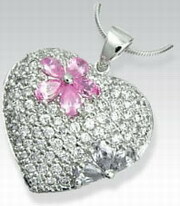 We offer Bracelets, Rings, Earrings, Pendants, Brooches Etc. And unique hand crafted antique look jewelry. Our company established in the 1980's supplying the antique and collectables to various collectors and dealers around the world. We also supply buyers with custom made Thai gold jewelry with Thai gems. Products: We offer costume 1920's to 1950's collectable and designers jewelry and Thai gold jewelry to the world. 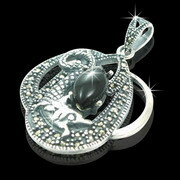 MoTique is jewelry manufacturer that made Extraordinary jewelry for very special person in Thailand. 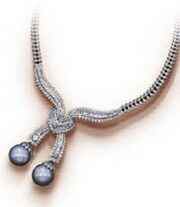 We have top jewelry designer in Thailand and very good skilled crafts persons at manufacturing. We can do everything you want. We can manufacture any design and quantity as per the customers requirement. Our main export markets include the United States and Eastern Asia. 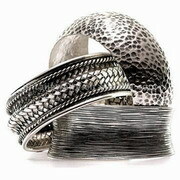 Novel Crafts Co., Ltd. Was founded in 1998 specializing in authentic hand-crafted silver jewelry and silver products. Each item carries the assurance that it is the result of delicate and painstaking workmanship. All of our fine silver jewelry and silver products are made using traditional methods, which makes Novel unique in that there are very few craftsmen in the world who work with these techniques. The application of machinery or modern technology is not considered to be appropriate in the production of these excellent quality handicrafts and we have always been recognized as a company dedicated in pursuing the traditional techniques in the production of all our products. Our range of products includes both modern and contemporary designs all crafted in the traditional manner. Both our antique and contemporary styles are made using 92.5% or 99% pure silver, with the production of your own designs also welcome. 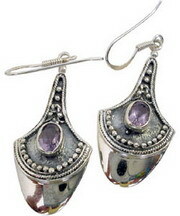 Handcrafts are the heart of the " siradagems ". Besides unique raw materials and production, the objective of the " siradagems " is to create masterworks such as semi-precious jewelry, silver jewelry, accessories and other decorative items to suit every society and lifestyle.